To be a turn key supplier to major OEM's, Ottenweller Company has a wide variety of machining centers. 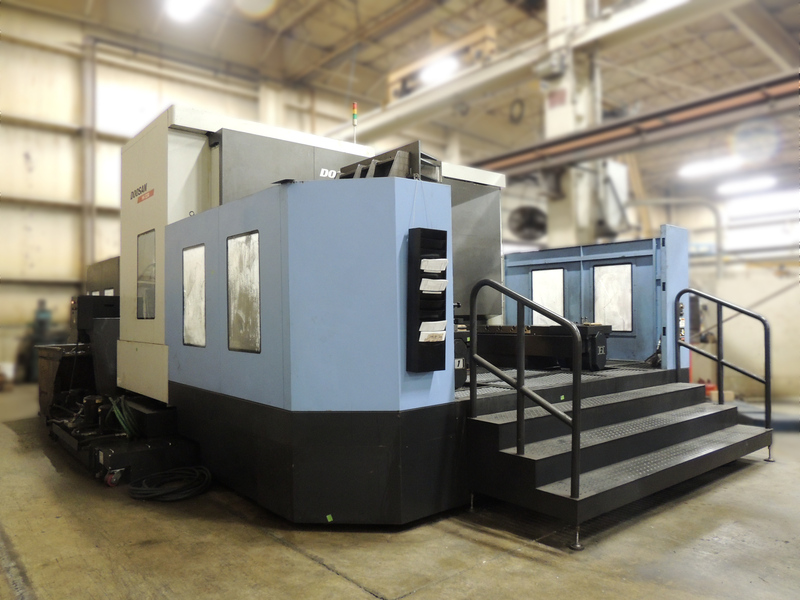 In order to perform the required final machining on production steel fabrications, OCI recently installed one of the largest machining centers in Indiana. The Okuma MCR-BII is a dual column, overhead bridge mill that provides both vertical and horizontal head capabilities. This machine provides OCI with the capabilities to hold tight tolerance bores within +/- .0005 on large weldments while maintaining production efficiencies.